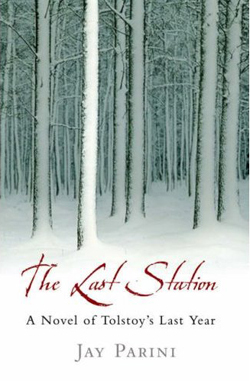 Parini's The Last Station is a study of the end of Russian author Leo Tolstoy's life. In the UK/EU? See the comments for how to win our review copy! Triangulation: End of Time is a handsome paperback offering a mixed bag of twenty stories on the theme of 'The End of Time'. SEE REVIEW FOR HOW TO WIN OUR COPY! Fraterfamilias by Peter Ferrer is a detective story steeped in the supernatural while revealing a satisfyingly natural and humanist flavor. Its style of telling may not appeal to those who require action in scads but it will easily grip fans of the occult, particularly those interested in ancient shamanism.